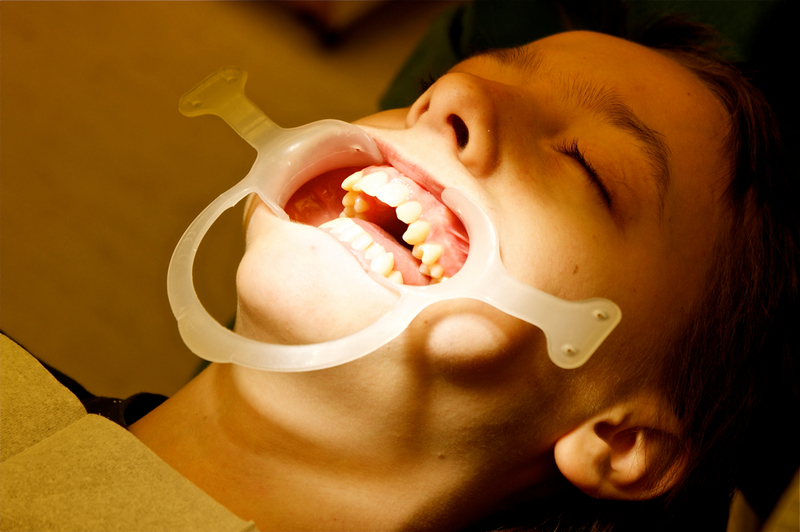 You are here: Home / Our Blog / braces / How do I take care of my lingual braces? Patients at Childers Orthodontics often wonder if lingual braces require the same amount of care as regular braces. The only real difference between lingual braces and traditional braces is the location of the brackets: lingual brackets are mounted on the back of your teeth. This mounting technique means that your braces completely hidden! However, you need to take special care of your lingual braces to prevent damage to the brackets and wires. Flossing can be done with a combination of regular dental floss and an inter-dental or wire brush. Floss threaders can also be used to get floss under the wires of your braces; ask our team for one at your next appointment with Dr. Kyle Childers. You should always brush and floss after every meal because there is a greater chance of food particles becoming stuck in your braces. You can also use a mouth wash to reduce bacteria and fight plaque. As always, keep your regular dental hygiene appointments at our convenient Benton, Harrisburg or Herrin, IL office to make sure that no problems develop while you’re undergoing orthodontic treatment. Please ask Dr. Kyle Childers and our team any questions you may have about your new braces and how to care for them and your teeth. The better care you take off your teeth and braces now, the better your outcome will be when your orthodontic work is complete! https://childersbraces.com/wp-content/uploads/2014/09/wpid-braces-friendly-recipe-dinner_27936217.jpg 300 207 DrCAdmin https://childersbraces.com/wp-content/uploads/2016/10/logo-childers-orthodontics.png DrCAdmin2013-11-20 06:03:352019-03-06 06:45:37How do I take care of my lingual braces?